Experience BMW of Bloomington, Your Complete Satisfaction is Our Top Priority, Courtesy Service Pick-Up and Delivery, Courtesy BMW Loaner Vehicles, Courtesy Weekly Car Wash, No-Cost Scheduled Maintenance, Call 309-661-2691 for Complete Details Speak with one of our Certified Client Advisors about current incentives: •APR / Cash Credit - $2,000 •BMW Loyalty - $1,250 •Conquest - $750 Premium Package, Navigation, Driving Assistance Package, Active Blind-Spot Monitor, M-Sport Package, Driving Assistance Plus Pkg, Rear Backup Camera, Panoramic Moonroof, Leather Seats, Heated Seats, Heated Steering Wheel, Harman Kardon Sound, Heads Up Display, Apple Carplay, Active Cruise Control, Active Driving Assistant Pro, Active Roll Stabilization, Adaptive M Suspension, Adaptive M Suspension Professional, Aerodynamic Kit, Blind spot sensor: Active Blind Spot Detection warning, Brake assist, Dynamic Handling Package, Enhanced USB & Bluetooth, Extended Traffic Jam Assistant, Front & Rear Heated Seats, Front Massaging Seats, Front Ventilated Seats, Gesture Control, Glass Controls, harman/kardon Surround Sound System, Head-Up Display, Heated Front Seats, Heated Front Seats w/Armrests & Steering Wheel, Individual Piano Finish Black Trim, Integral Active Steering, Leather Dashboard, Luxury Seating Package, M Sport Brakes, M Sport Differential, M Sport Exhaust System, M Sport Package, M Steering Wheel, Memory seat, Multi-Contour Seats, Navigation System, Parking Assistant Plus, Power moonroof, Rain sensing wipers, Rear-View Camera, Remote Engine Start, Shadowline Exterior Trim, Soft-Close Automatic Doors, Surround View w/3D View, Vernasca Leather Upholstery, Wheels: 21" x 9.5" Fr & 21" x 10" Rr M Y-Spoke, WiFi Hotspot, Wireless Charging, Without Lines Designation Outside. New Price! Mineral White Metallic 2019 BMW X3 xDrive30i with Canberra Beige Vernasca Leather Upholstery equipped w/ a 8-Speed Automatic Transmission, a 2.0L I4 TwinPower Turbo Charged Engine , *Navigation / GPS, *All-Wheel Drive / AWD, *Premium Package, *Driver Assistance Package, *Driver Assistance Plus, *Convenience Package, *Parking Assistance Package, *Panoramic Sunroof / Moonroof, *Heated Seats, *Heated Steering Wheel, *19" Rims, *LED Headlights, *Park Distance Control, *Active Blind Spot Detection, *Lane Departure Warning System, *Head-up Display, *Apple CarPlay, *Remote Keyless Entry, *Rain Sensing Wipers, *Power Front Seats, *Hands Free Bluetooth and USB Audio Connection, *FREE 36 Months/36,000 Miles Maintenance, and much more!! SPEAK TO A CLIENT ADVISOR TODAY ABOUT AVAILABLE INCENTIVES: •BMW Finance Credit - $2,500 •BMW Lease Credit - $500 •BMW Conquest - $1,000 •BMW Loyalty - $1,250 •USAA - up to $1,000 •College Grad - $1,000 Call today to set up a test drive at (309) 692-4840. Located at BMW of Peoria in Peoria, IL. 1720 W. Pioneer Parkway. Recent Arrival! 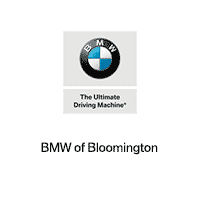 22/29 City/Highway MPG Located at BMW of Peoria, 1720 W Pioneer Parkway Peoria, Illinois 61615. We are family-owned, and have been serving Central Illinois since 1963. We have access to virtually every make and model of car, truck, and SUV! CALL TODAY TO SCHEDULE A TEST DRIVE (309) 692-4840.